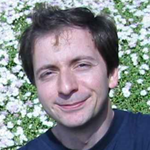 Gonçalo da Costa was awarded the most coveted and highly competitive FCT Starting Grant! Congratulations! Daniel Fonseca was admited at the Manifold PhD program, Bijvoet Centre, University of Utrecht (http://www.manifold-itn.nl/), working with Ineke Braakman. Cristina Ribeiro da Silva will begin her PhD in Rotterdam, holding a Marie Curie Fellowship with Hannes Lans, Erasmus MC, University of Rotterdam.